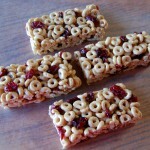 A delicious alterative to rice bars. Spray a 10 x 15-inch rimmed baking sheet with cooking spray. Line with waxed paper, spray paper with cooking spray, and set aside. In a large saucepan, melt butter over medium heat. Add marshmallows and salt, cook, stirring occasionally, until marshmallows have melted, about 5 minutes. 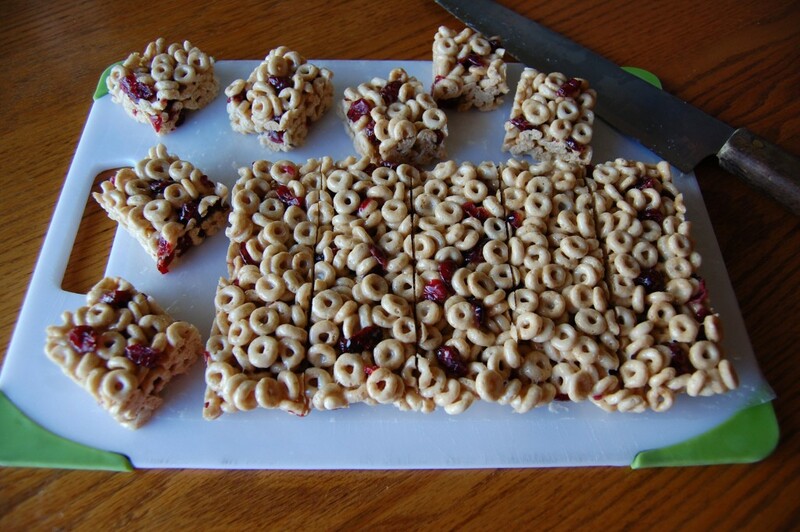 Remove from heat, stir in cereal and dried cranberries. Immediately transfer mixture to prepared baking sheet. Using a spatula (or your fingers) coated with cooking spray or butter, press the mixture quickly and firmly into the pan. Let cool, about 1 hour, cut into 24 bars (3 rows lengthwise by 8 rows crosswise). Store in an airtight container up to 2 days.